One of the most frequently asked questions by postdocs who do not have university employee parental or disability leave benefits is how to obtain funding to take parental leave. To address this need, some federal research funders provide leave or supplements. For information on the FMLA and unpaid leave, see here. Postdocs working on any NSF sponsored award are eligible to apply for a supplement to allow for the continuation of research while the postdoc is on family leave. 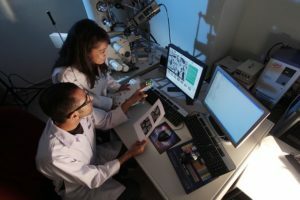 This funding will provide up to 3 months of additional funding to cover a temporary researcher, capped at a salary of $12,000 (plus the cost of benefits). For more information on the funding, see here. Instructions and contact information are available here. Postdocs with NIH Kirschstein-NRSA funding (T32, T34, T35, F30, F31, F32, F33 and the NRSA component of T90) are eligible for up to 60 days (8 work weeks) of time off for parental leave. This time does not need to be taken consecutively, however postdocs must provide notice of their intended absence in accordance with host institution policies. Note, this policy was updated in June 2016. For more information, see here. NIH grantees are also eligible to adjust the amount of work completed on their program. See policy notice NOT-OD-09-036 for more information and contacts. If your grantor provides parental leave for postdocs, please let us know!